AL TAHOE, is South Lake Tahoe’s quintessential mountain neighborhood consisting of many cabins, chalets and some multi-family dwellings. Always popular because of two nearby Lake Tahoe gathering places (Regan Beach and Lakeview Commons), Al Tahoe is directly in the heart of South Lake Tahoe with easy access to the Stateline/casino area, Heavenly Valley Ski Area, shopping and restaurants. 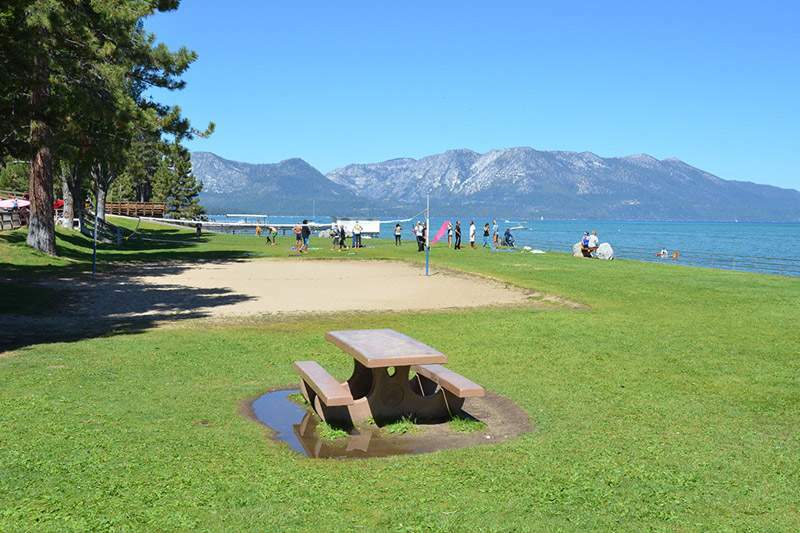 Al Tahoe is a favorite area for viewing our annual 4th of July fireworks show and also provides a public boat ramp just adjacent to Lakeview Commons. Developed in the 1930’s, Al Tahoe’s charm, knotty pine cabins and lake view properties make it the perfect choice for the vacationer or entry level primary homeowner. Al Tahoe remains one of South Lake Tahoe’s most popular neighborhoods with home prices ranging from $300,000 to over $1 million.